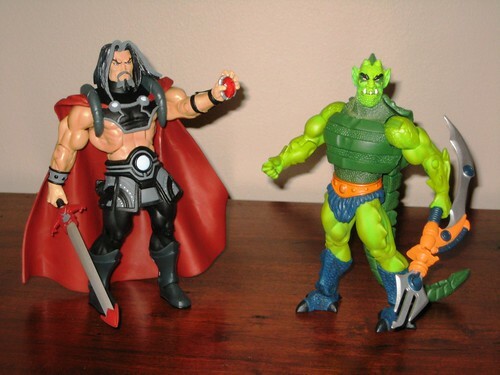 I freely admit to not being the most educated Masters of the Universe Classics Collector. I was 13 or so when the original He-Man toys came out, and I had a handful of the original ones before "growing out" of such things. When I grew back "into" action figures a few years ago and eventually discovered MOTUC, I started collecting them because of a nostalgic interest in the line and because they were so well done, but for every character that I remember either owning or seeing from the classic line, there's others that are a complete mystery, which is part of the fun of the line. The pair I'm looking at tonight are one of each. On the classic side, we have Whiplash, a character I knew of from earlier years but certainly never owned. On the new side, we have Count Marzo - a fellow I've never seen before and from what I understand, has never appeared in plastic before. Count Marzo doesn't mean anything to me as a character, but as an action figure he brings a number of new stylings to the MOTUC line. His longer hair, goatee and flowing cape / shoulder harness are very nicely sculpted. This combines with his colour scheme, which has been well applied here, to make a very visually striking figure. He has a pretty standard sword and a gem as accessories. 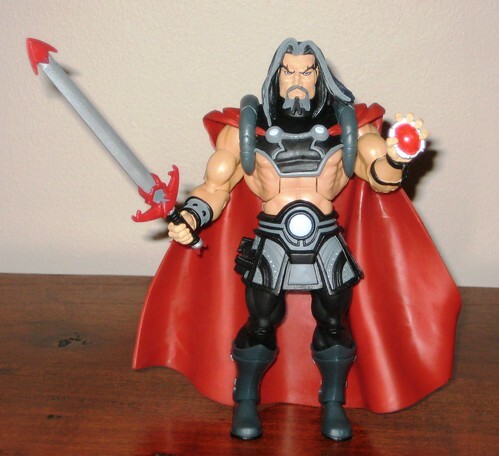 This is a "200x" MOTUC styled Character, the kind of which it seems we can expect to see less of since Mattel has made it clear that that look is "retired", one of the reasons we won't be seeing alternate heads in the future. Personally I think this it's a shame to make what is surely to be an iconic line for years to come a more inclusive one for fans of all eras. Without knowing the characters particularly well, I can certainly tell this figure has a bit of a different styling, but it certainly doesn't bother me, and it seems a bit of a lost opportunity. I am sure that more knowledgeable MOTU fans will have stronger opinions one way or another on this. Whiplash is a character that really brings something extra to the standard MOTUC buck in the form of his large and groovy tail. This comes unattached in the pack and has to be snapped on to his back - a process I didn't find terribly easy, although I'm not the most adept assembler of small and fiddly things. Once snapped on properly, it's a really impressive piece with it's own movement for different poses, and it's very well sculpted. This pretty major inclusion hasn't stopped Mattel from adding two pretty impressive accessories. He has a staff and a multiple sword / slicey thing which are both great and lend to a number of possibilities for fighting poses. Very impressive indeed. I was expecting to like Whiplash's 200x head better, as the original head with it's bushy-looking eyebrows which seemed in photos to be more dated, but it's the original head that's ended up going on display. Partly it's because the 200x head lacks a bit of a clear and distinctive look due to the colours used, and partly it's because that whacky classic Whiplash head just looks darn fun! You can see more pics at Facebook, discuss this at the AFB Forum, and comment on this post to enter the October AFB Comment of the Month Contest - with an extra price for an AFB Facebook fan this month! I like 'em both too! Such a great line. Cool review Andy! That Whiplash is Hawt! Nice pick-up. The 200x whiplash head just doesn't seem right on the body to me. Also the new weapon is silly. THe vintage look is the way to go. Marzo looks pretty solid, I love that he has a scabbard. They both look very good. I really need to track down a Whiplash soon. Don't think I can wait for the inevitable re-release. love the look of whip flash for he was one of my favorite figures from the original line. even though he looks like he has been pumping iron. 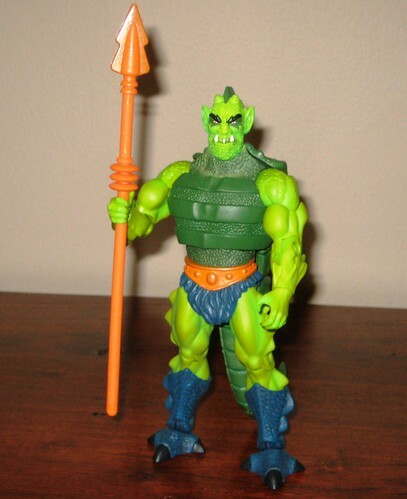 Marzo suprised Mattel decided to do him given their stance on the 200x line and he is from the last he-man cartoon. 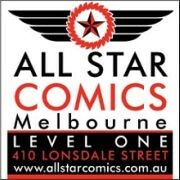 A JLU find in Oz!